Samsung added Chase to its line-up of supported cards for Samsung Pay! Nice timing there, with holiday shopping for everyone about to kick into overdrive. The mobile payment system also now supports cards from Citizens Equity First Credit Union, Randolph-Brooks Federal Credit Union, Security Service Federal Credit Union, State Employees’ Credit Union, SunTrust and Virginia Credit Union. When you install Samsung Pay on your compatible Galaxy smartphone, you’ll now be able to add all of these new cards without a hitch. As a bonus to go along with this news, Samsung is handing out $100 coupon codes when you sign-up that can be used to “get up to $100 off any” Samsung.com purchase. To get more details on the $100 “gift,” head over to Samsung’s promotion site. NEW YORK – November 23, 2015 – Samsung Electronics Co., Ltd. announced today that Samsung Pay, the most accepted mobile payment system, now supports eligible Chase Visa® credit, debit and Liquid® cards, as well as debit and credit offerings from MasterCard issuers: Citizens Equity First Credit Union, Randolph-Brooks Federal Credit Union, Security Service Federal Credit Union, State Employees’ Credit Union, SunTrust and Virginia Credit Union. Samsung Pay also now supports Navy Federal Credit Union Visa® credit and debit cards. Cardholders of all these issuers will be able to use Samsung Pay to pay almost anywhere they can swipe or tap their card. 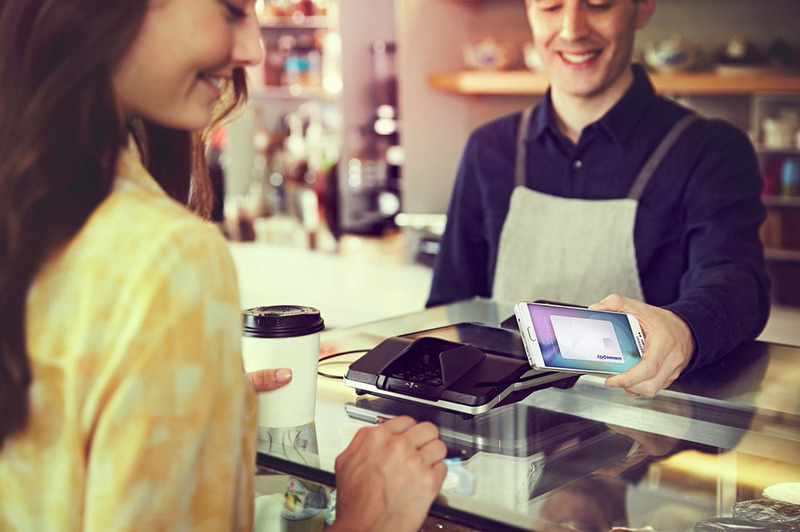 All three major payment networks will continue to be supported by Samsung Pay: American Express, MasterCard and Visa, as well as major banks including Bank of America, Chase, Citi, Navy Federal Credit Union, SunTrust, U.S. Bank, and key partners includingBlackhawk Network, First Data, Global Payments, Synchrony Financial, TSYS, Vantiv, and Worldpay. ALMOST ANYWHERE: Samsung Pay is compatible with most existing and new terminals, including most magnetic stripe, EMV and NFC terminals*. That means Samsung Pay works at more places than any other mobile payment service.